To edit team overview, follow the steps given below. 3. Edit the name of the team in the Team Name text entry box. 4. 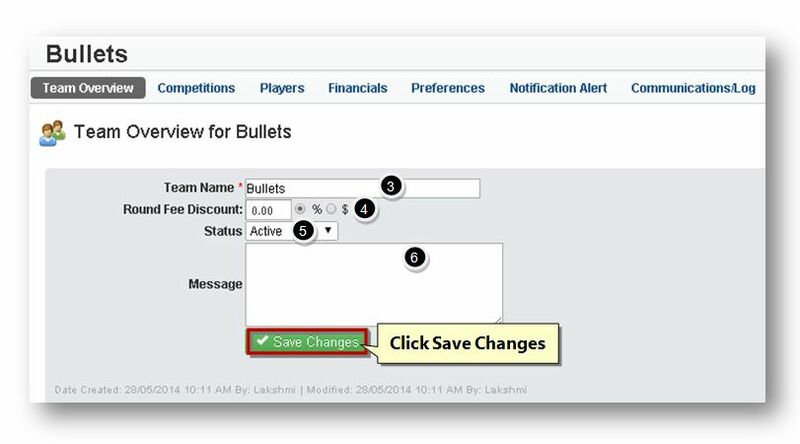 Edit the round fee discount in the Round Fee Discount text entry box and also specify the currency by checking the available options. The available options are % and $. 5. Select the status of the team from the Status drop down list. The available options are Active and Inactive. 6. Enter the message if any, in the Message text entry box. The selected team will be successfully edited.